San Diego, CA (January 30, 2019) – HCAP Partners, a California-based private equity firm and recognized impact investor, has announced the promotion of Bhairvee Shavdia to Senior Associate. Bhairvee joined HCAP Partners in September 2015 and holds a unique role in the firm’s impact and investment practices. Bhairvee has led the construction and implementation of HCAP Partners’ current impact framework and methodology around quality job creation, the Gainful Jobs Approach™. She is a key contributor to the firm’s continued recognition as a thought leader in the impact investing field and was recently selected by the Aspen Institute as a 2018-2019 Job Quality Fellow. 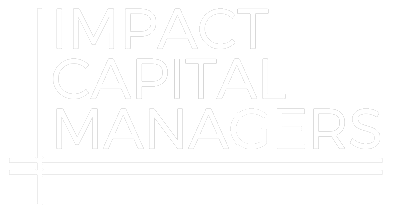 In her role leading the firm’s impact investing initiatives, she is also responsible for impact measurement and reporting practices, including writing HCAP Partners’ Annual Impact Report. Bhairvee also serves as a key member of the investment team, responsible for the origination and analysis of new investment opportunities, deal structuring, execution, and investment monitoring. She is actively involved in HCAP’s investment in Progistics Distribution (www.progisticsdistribution.com). Prior to joining HCAP Partners, Bhairvee was with San Diego State University’s Zahn Innovation Center where she created and led the University’s incubator platform for social enterprise. Bhairvee joined the Zahn Innovation Center from H.I.G. Capital, where she was a founding member of the firm’s London office and participated in the origination, investment analysis, and due diligence of private equity and distressed debt transactions. Before joining H.I.G. Capital, Bhairvee worked in investment banking focusing on cross border M&A transactions. Bhairvee holds a B.S. in Economics from the Wharton School of the University of Pennsylvania with a dual concentration in Finance and Actuarial Science and an M.B.A. from Columbia Business School. HCAP Partners was founded in 2000 and is a provider of mezzanine debt and private equity for underserved, lower-middle market companies throughout California and the Western United States. The firm seeks to invest $2 million to $9 million in established businesses generating between $10 million and $75 million in revenues in the healthcare, software, services, and manufacturing industries. HCAP Partners has invested in over 60 companies since it was founded. Through ongoing, active engagement with portfolio companies, the team at HCAP Partners provides value-added resources to help optimize performance and increase enterprise value. The firm has been recognized as an ImpactAssets 50 fund for the past five years and, through its Gainful Jobs Approach, works to facilitate a positive impact on underserved businesses, their employees, and their communities through active portfolio engagement. Partners Tim Bubnack, and Frank Mora along with Principals Hope Mago and Nicolas Lopez lead HCAP Partners’ investment team. For more information, please visit www.hcapllc.com or call (858) 259-7654.